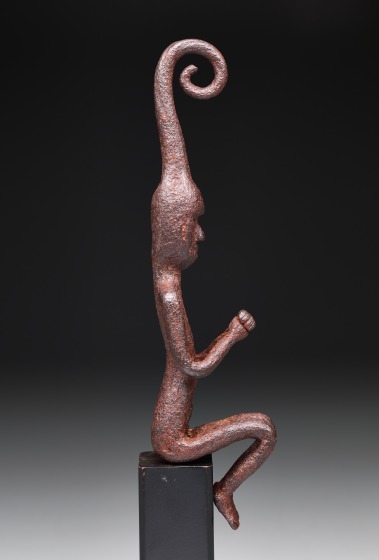 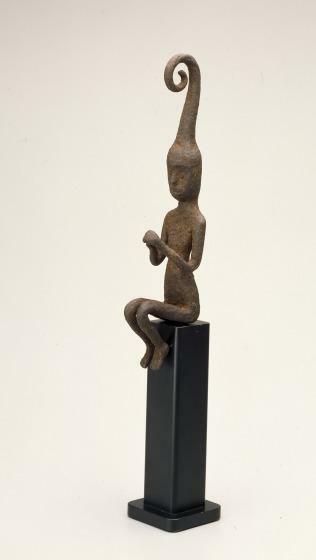 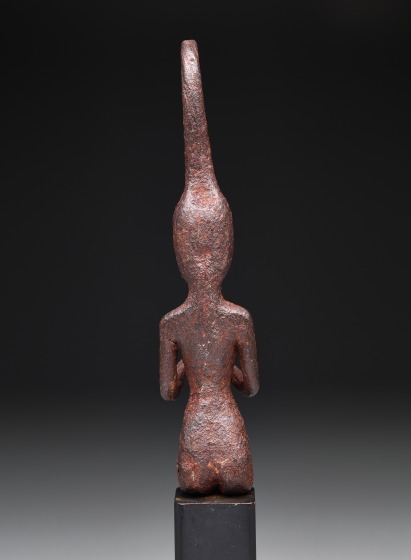 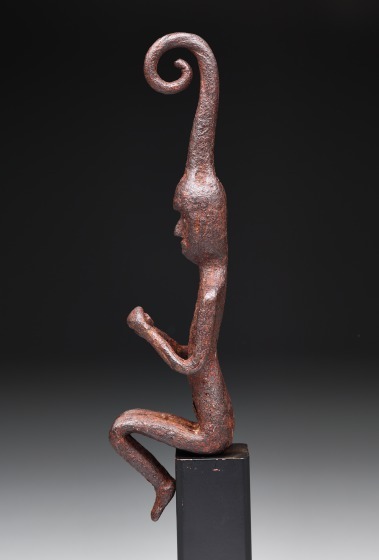 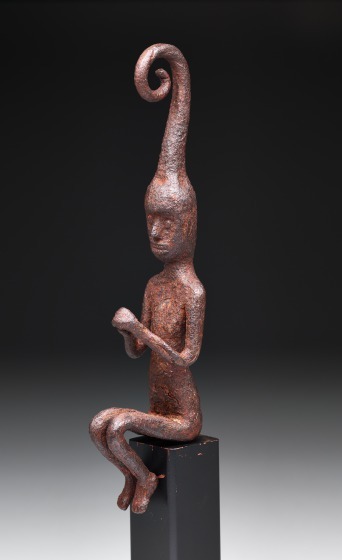 The upswept and spiraling hairstyle on this lithe seated figure is a metaphor for sexuality and, by extension, fertility. 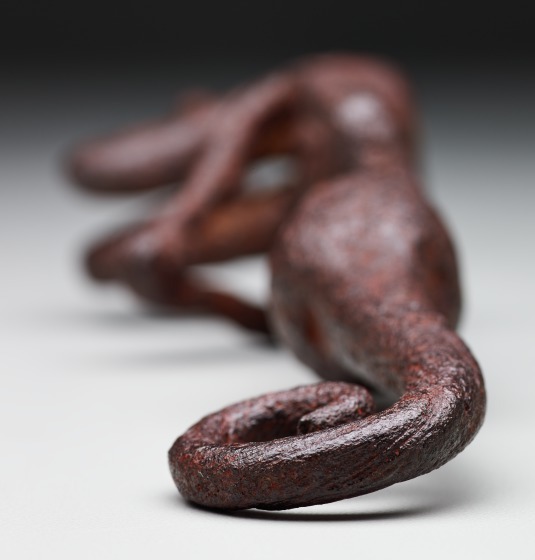 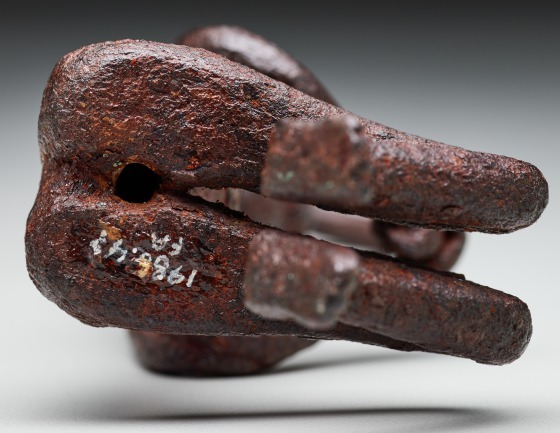 It was probably used in connection with headhunting rites, perhaps as the finial for a hook on which an enemy’s skull was hung. 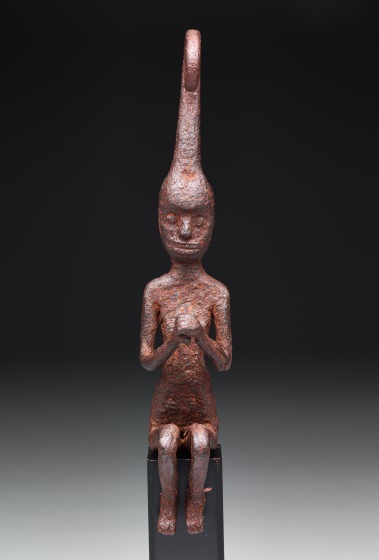 Headhunting, which ensured both agricultural and human fertility, was considered essential for cosmic order.